Hosts France and Mexico were the headline grabbers on the opening day of the FIFA U-20 Women’s World Cup. 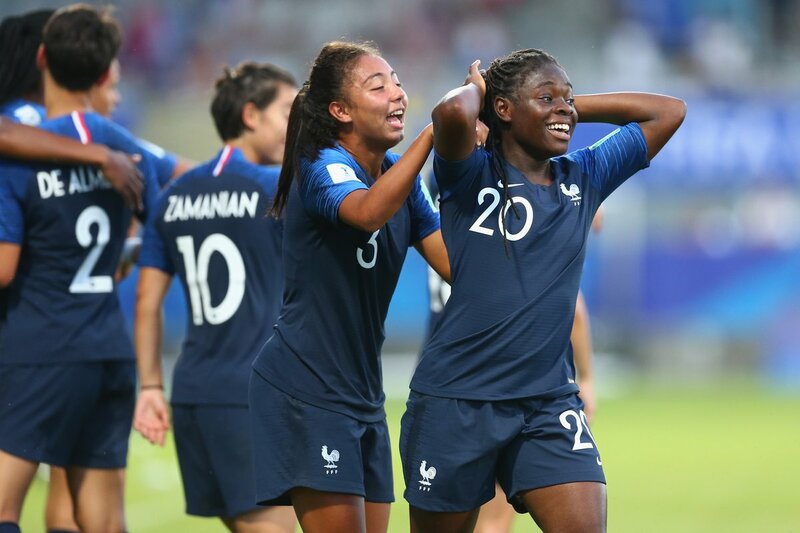 France thrashed Africa’s representative Ghana 4-1 to emerge as Group A leaders at the end of Day 1 with goals from Laurent (2), Bercocq and Baltimore while Sandra Owusu-Ansah got what proved to be the consolation goal for the West Africans. In the other Group A game, Netherlands beat New Zealand 2-1. Mexico recorded the first upset of the tournament after the team came from behind to defeat Brazil 3-2 in their Group B clash. Brazilian forward Korelin Nicoli hit a first half brace to overturn the Martinez opening goal for Mexico before Ovalle scored two second half goals to her side victory. North Carolina Tar Heels star Alessia Russo (2) and Manchester City striker Georgia Stanway were on target as they led England to a 3-1 win over defending champions North Korea in the other Group B. Attention shifts to Group C and D on Day 2 (Monday) with Paraguay facing Spain, while the United States team do battle with Japan. In Group D, Nigeria will face three-time champions Germany, while China People’s Republic (China PR) square up against Haiti in the other group game.